A Mouthful of Canada | Welcome to Canadica! This entry was posted in Team USA and tagged American, beer, bharat, bharatwrites, bière, Bryan Adams, butter tart, Canada, Canadian, canadians, Celine Dion, cold, curds, currant, eats, flag, foodess, foreplay, freeze, French, French fries, fries, grad-school, grapes, gravy, Great White North, How I Met Your Mother, Icewine, ideas, Justin Bieber, La fin du monde, le, luxury, maple leaf, Nanaimo, Nanaimo bar, poutine, Pulp Fiction, Putin, Québécois, Quebec, raisin, Samuel L Jackson, Saudi Arabia, stars and stripes, Sweet Mother, symmetry, United States, Wikipedia by bharatwrites. Bookmark the permalink. Three little words: dill pickle chips. Are those Canadian? I love them. Happy to call them neighbour…. I’m gonna have to visit the relatives in Canada just to sample that lot! You have relatives in Canada? You’re way ahead of me in conquering this list. Nanaimo bars: NO! Deceptively attractive, but absolutely does not taste as you’d expect. Wow that dream didn’t take too long to shatter. 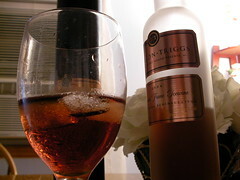 Hurray for Ice wine at least. Maybe you got a lousy batch. Stop talkin’ smack about them bars. I’ve had them MANY a time…they were terrible. I stand by my smack talk. I’d say you have done very well at putting together a little Canadian survival kit here. Now you know why the cold doesn’t bother us so much we eat and drink ourselves into comas. Thanks. That means a lot coming from a Canadian 🙂 I look at every place through a gastronomical lens. It’s a gift and a curse! Hey Bharat! Great post. I can’t believe I just read a blog that was pretty much about my favorite subject – junk food. Nanaimo bars? Love’em. I believe in some circles they are called “New York Slice”, and we’re not talking pizza. I think I’ve tasted a bit of everything you wrote about except Celine, who of course is a feast for the ears that everybody loves to hate, or is it hates to love? In my role as a junk food aficionado, I have discovered the finest butter tarts,in Ontario and the locations of the best french fry trucks. Still looking for a bakery that makes rye bread that’s anywhere close to what you find in Winnipeg. Anyways, I digress. Have a good one! Thanks! Regarding Celine, I’ll admit shamelessly that I liked ‘My Heart Will Go On’ when it came out—I was twelve, so I think I can be excused that minor trespass! Man! Your description suddenly made all these foods real and mouth-watering. I must visit Canada sometime! 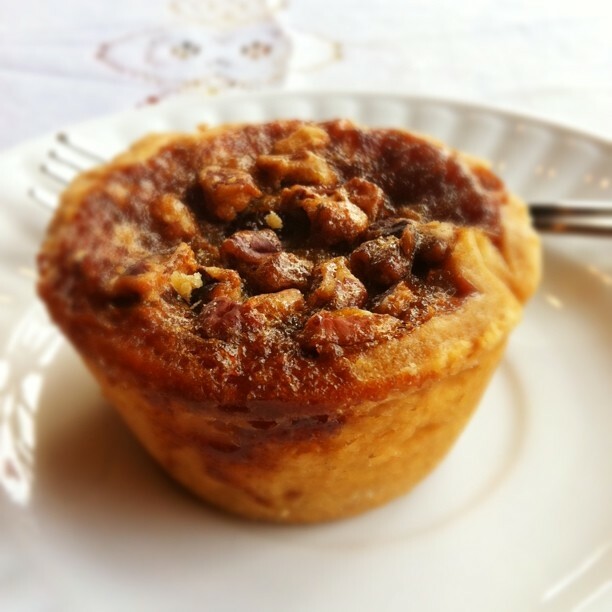 The best butter tarts are indeed found in Little Britain! My brother-in-law’s girlfriend bakes them! How funny. I hadn’t even heard of Little Britain until I met her. I wonder if Little Miss Muffet was Canadian. She ate curds — was it poutine? Well I can’t imagine a Poutine-eating Canadian being scared off by a spider. Can you? You got a point there, B. To me they all sound awesome. Thanks for commenting. 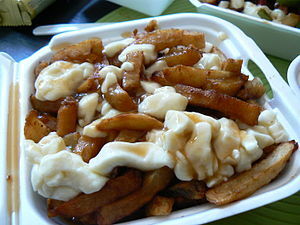 J’ai envie de manger des Poutines. Not sure if I said it right. “They let the grapes freeze—something you achieve by simply waiting in Canada” Hahaha. Clever. Thanks! I tried to toe the line between clever and offensive. I hope I didn’t annoy anyone. I still think the word ‘poutine’ sounds dirty. 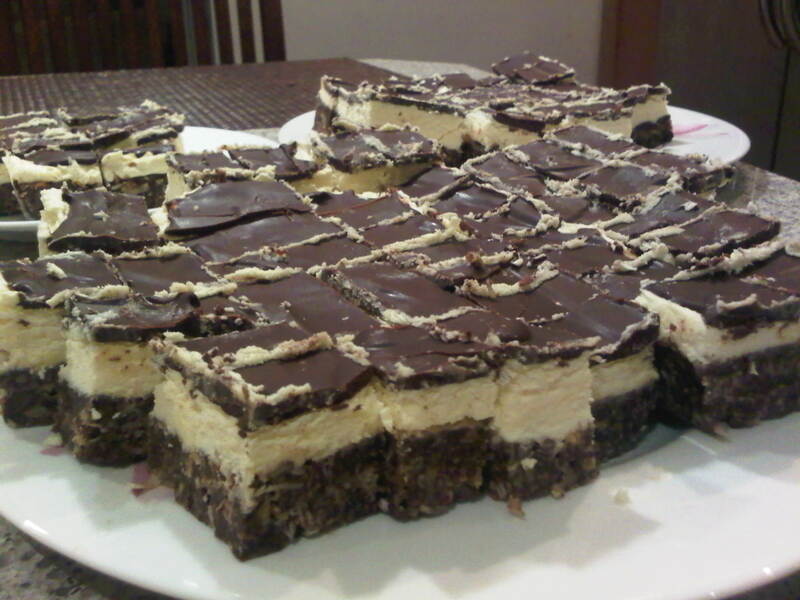 But I wouldn’t mind some of those Nanaimo bars. Yum. You’ve made me see Poutine in a new light. I confess I haven’t eaten them. I’ve heard they’re made from raisins. I guess one could use currants. They do sound like ambrosia. Thanks for the comment. Thanks Wendy. 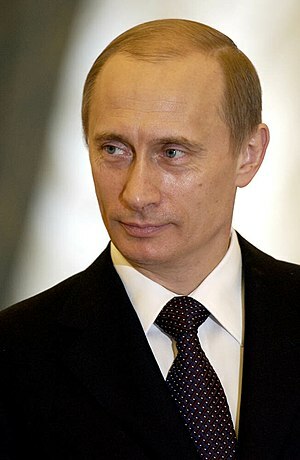 I think even a stray thought of Poutine warrants thirty minutes on the treadmill with the incline cranked up to the ‘tears’ setting. Isn’t that the setting between, “Come on, I know you can do it!” and “Climbing Mt. Everest would be easier” ? Awesome! But I’m afraid attempting my own butter tarts would sour them forever for me 😉 Thanks for visiting! The Nanaimo bar cookies from British Columbia! It’s the most delicious photo I’ve ever seen. I stole the image from reddit. Slightly ashamed. They do look delicious, don’t they? You had me at Nanaimo bars. I’ve never heard of these enchanting squares before, but now that I know about them, I will probably never stop thinking about them. Likewise about the butter tarts. I have prowled the Village many, many times in search of post-imbibing snacks, and if butter tarts were available here, that would be my go-to food. Same with poutine. I don’t like the idea of the cheese curds because I’m not a cheese person, but if I could get poutine without the curds, I’d be all over that. Want to open a butter tart & poutine stand here in NYC with me? Ah a fellow post-imbibition Village wanderer! I’m glad this post resonated with you so much! As for opening that poutine/tart stand, I’m game if you’re okay with never seeing a profit because your partner devours the inventory. Poutine without curds is just fries with gravy, Weebs. The lamest. Then if being lame is wrong, I don’t want to be right. So *that’s* where foreplay came from! To even it out, they probably came up with sadomasochism. I’m just throwing out allegations here. I hope Canada doesn’t gang up on me in a countrywide class-action defamation suit. Never fear, they’re far too polite for that. I only recently found out that Americans don’t know what butter tarts are… and if ever I was grateful to have been born on this side of the border, that was the moment. They are my favourite thing in the whole wide world (well, after my son… and maybe his father… maybe). Poutine always looked too gross for me to taste, but I finally had some last year. It is, in a word, amazing. Your description of Nanaimo bars made me laugh pretty hard. They are heavenly, btw. Also, I sincerely wish that Canada was the icebox you describe… Last summer in Toronto was worse than the summer I lived in Sacramento! Damn, another stereotype bubble burst. If Canada doesn’t freeze your insides, I’m not sure I can know anything for a fact anymore! 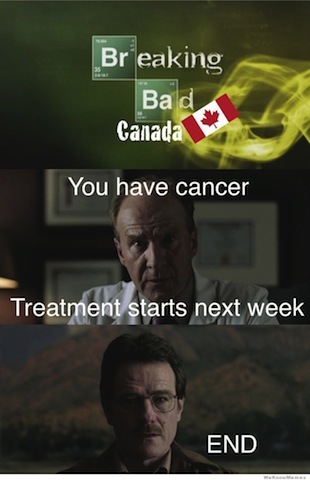 Great post – love that Breaking Bad meme – genius! So many foods I grew up with that I never knew were from my home country. It made me sad the day I found out that Butter Tarts have not been in everyone’s mouth. The earth is a darker place for it. Haha. Some of your sympathy has flown my direction—I’ve never had butter tarts myself. I can’t wait to try them. Okay. Elaborate, elaborate, elaborate, and elaborate! No. Women are supposed to be mysterious. So there. Fair enough. But how’d you like the post?